The surname Terry is not a common name in Ireland. It is most prevalent in counties Waterford and Cork, with clusters of Terrys also to be found in Donegal. For the most part these Terrys were rurally based. In Cork city, however, Terrys became one of the leading merchant families from the early fifteenth to the mid-seventeenth centuries, a period of about 230 years. This is their story. At most at any given time it is a story of about 30-40 families, or about 300 people, and at periods much smaller numbers. Yet this grouping held significant sway in the affairs of the city of Cork from 1420 to 1644. Terrys of Cork are generally accepted as being an Anglo-Norman family. They are recorded as having settled in Cork from the thirteenth century. Records show that they were a landed family and were royal servants. They acted as jury members and were witnesses to a number of acquisitions. However, in this early period, there is no evidence that they were urban based in Cork. The initial steps towards urban elite for the Terry clan in Cork city were undertaken from the mid-fifteenth century. From this period they are recorded as buying and mortgaging property, on a regular basis, in both the city and the suburbs. Other former spellings of the name were Tyrry, Tirry and Therry. 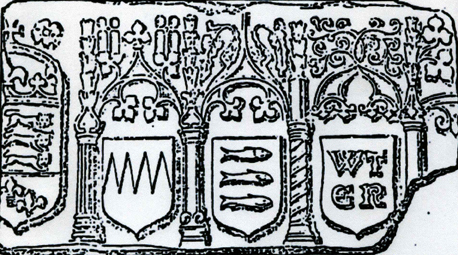 The arms generally associated with the Terrys of Cork are as shown. These were provided to Don Ramon Terry of Spain, descended from William Terry of Co. Cork. Some early references to Terrys include John Tirry, Adam Tirry and William Fitz Philip Tirry in connection with payments from Cork . A Stephen Terry and William, his son is referred to in the period 1305-1307 in the Justiciary Rolls, and Maurice Tirry and Stephen Tirry are also mentioned. A Maurice Tirry of Cork is referred to in 1307. In crown court cases in Cork in 1311, John, son of Robert Tyrry was charged and acquitted of burglary in Cork. In crown court cases in Cork in 1313, a John Terry (also spelt Torry and Torre) was a jury member, as were Robert Terry, Stephen Torry, and Maurice Torry. A David Torre was charged and acquitted in Cork, in 1313, with receiving stolen goods. The first Tyrry deed, in the Sarsfield Papers, refers to a grant by Rus fil John de Bradleye of eighteen acres, in Kilcully parish, and other goods to John, son of Roger, son of William, son of William, son of Maurice. This deed is undated, but an approximation of the period may be obtained from a reference to a Thomas Bradley as bailiff of Cork in 1313. An inquisition, held in Cork in 1344, concerns a quarrel that arose between various Barrys over tenancy of land around Rathcormac. Adam de Barry, of Rathcormac, did not wish to be a tenant of a David de Barry or to attend his court. David distrained against him for default and so Adam gathered a band of men together to wage war against David and all his people throughout the county of Cork. Oliver Tirry and Nicholas Fitz Adam Tirry were part of this band. They beat up the sheriff of Castlellethan, killed Philip son of Nicholas Malenfaunt. They burned Laghare near Castlellethan and robbed and stole from the friars of Carmel. They were welcomed by Maurice, son of Thomas the Earl of Desmond, who let them ride about armed throughout county Cork and elsewhere. Adam fitz William de Barry of Rathcormac, sued David in Dublin for the entire Barry inheritance. In another inquisition at Youghal, in the same year Oliver Tirry's name appears again. In 1355, Henry Whyte granted property to Peter Fitz Thomas (presumably Tyrry) in the parish of Killaspugmullane. The early Norman knights who settled in Ireland granted land and other commodities to church establishments. There were some thirty four grants to the abbey of St. Thomas the Martyr in Dublin of land, fishery rights, alms and other income sources in Cork. In the case of four of these grants, the grants state that they were purchased or were the property of one Brother Tierri. In one of the four grants he is referred to as a Canon. It is only with reference to Cork that he is mentioned in the grants to the church of St. Thomas. These grants were made in the 1170s and 1180s. This Brother Tierri was also a witness to two grants in Cork to St. Nicholas's Priory of Exeter. In one of these grants, Miles de Cogan makes a grant of land in the south suburbs of Cork city to the church. In the other, the grant was from Roger de Caunteton of the churches in Corkbeg, and possibly Inch, to St. Nicholas' priory. These grants were made in the years 1177-1182. Brooks states that Tierri was probably a monk of St. Thomas' Abbey. It is only in grants made in the city and county of Cork that Tierri's name appears. This would seem to indicate that he resided in Cork. One of the grants relates to Spike Island. Some two hundred and sixty years later, the Barrys granted its neighbouring island in Cork harbour, Haulbowline Island, to Edmund Terry. This perhaps indicates that the Terrys were residing in this area for a considerable time. Similarly, in relation to the grant of the church in Castlemartyr evidence from Chartae Tyrannae indicates that Terrys resided in the adjoining area of Mogeely in the fifteenth century. The location of the granted lands, which were purchased by brother Tierri were; Dungarvan in Cork city, Spike Island and Castlemartyr. From documentary sources, it would appear that the case could be made, that in some way, these purchases of Tierri are connected with land ownership by Terrys and Terry clergy in subsequent centuries close to these original purchases. In Cork city several laneways were named after Terrys in the seventeenth century. In Cobh, the townland of Ballyleary, it is suggested, was in previous times known as Ballinterry. From the fifteenth century there is evidence of Terrys holding land in Cobh, including Haulbowline Island. Similarly, in neighbouring Carrigtwohill lies the townland of Terry's Land; a location of Terry clergy and where they held property. Near Castlemartyr, there are one or two townlands that would appear to be named after Terrys. Here there were also clerical and land ownership connections from an early date. Also near Rathcormac, we have the townland of Ballinterry. In former times there were Terry archdeacon priests here. Terrys were prominent among the list of bailiffs for the city in the fifteenth century providing bailiffs for twenty years in the seventy year period between 1425 and 1495. There is a deed, recited twice, for the year 1420, witnessed by Philip Tyrry, one of the two bailiffs for Cork city . This deed related to the advowson of Glanmire. In 1432 Royal authority constituted a Philip Tirry, presumably the same person, one of the Coroners of the City of Cork. From 1438, records show that one Edmund Tyrry was engaged in several land and property transactions in the city and harbour areas. By the time of his death, he had acquired ownership or interest in eleven houses in the City, land, gardens and mills in Shandon, Haulbowline Island and weirs in Cork Harbour. From the records available, it would appear the Edmund was the first significant Tyrry merchant in the City, and from him an increasing number of, and more influential, Tyrry merchants and traders prospered in the City in the following two centuries. Edmund Tyrry's will was executed in 1454 . 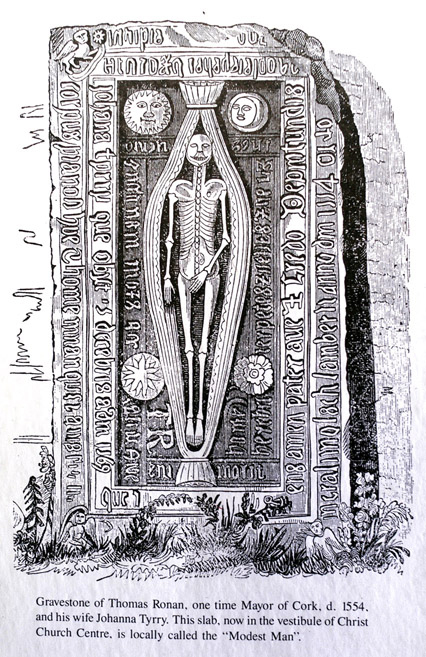 Edmund orders that his body be buried in the Church of St. Peter's, Cork. In 1482, a cargo containing goods belonging to William Tyrry, of Cork, merchant, on the ship John of Cork, embarked at Bridgwater, south west of England, from Cork . Around this time also, one William Tirry, son of Sir William Tirrey, Co Cork, married the daughter of JohnFitzThomas FitzGerald, self-styled Earl of Desmond. The Oath of the citizens of Cork in 1498 contains forty-five names, eight of these being Terrys. In 1499, a patent was granted by the King, to William Tirry, Edmund, son of David Tirry, citizens of Cork and to two other citizens of Cork, receivers and collectors of customs, fee-farms and taxes of Cork, and also to superintend and govern the city. Consideration is now given to Terrys in the period of Tudor Cork from a number of perspectives. These are social, economic, financial, political and religious. The social position of the Terrys at this time can be gleaned from many of the land transactions that the Terry's were involve in; they were sealed and witnessed by some of the leaders of society in Cork, in this period. This must be taken as a reflection of the Terrys own place in Cork. Several deeds were executed directly between the Lords of Barrymore and Terrys. When, in 1521, Lord John Barrymore granted to David Tyrry of Cork and William Richard Barry, another citizen of Cork, the castle of Belvelly in the Great Island and a carucate of land in the wood of Hodyne called the half carucate of Ballynacrusy. As merchants, traders and landowners, evidence exists of several examples of alliances with other merchants, traders and landowners . The Terry's had the standing and wherewithal, to successfully challenge in the courts, leading land magnates, such as Lord Barrymore. They were also able to engage the best attorneys to defend their interests. This can be observed when in 1588, Patrick Tyrry of Cork, gent, son and heir of William lately deceased, and William Tyrry Fitz William, Patrick's brother, engaged their attorney, a Dublin based attorney, in connection with property near Cork . Presumably, the Dublin based attorney was better able than a local man to represent their interests. Terrys themselves, acted as agents for others, including Irish chiefs. In 1588, Cormac McDermott McCarthy, in a petition to Burghley, sent his agent Robert Terry, to make his suit to her Majesty to pass him a new grant of the manor of Blarney with a release of all conditions. As Green pointed out, the most trusted mediators from the English to the Irish were the merchants of the boroughs. In this period, the Terry families of Cork city were one of about twelve families where records show that they held significant sway in the city and had at the same time strongholds in the surrounding hinterland. These families intermarried. In the Sarsfield papers, there is a reference to 'notes drawn out of my brother Tyrries and Christopher Skyddys writings of the moore of Grinkittene'. These are abstracts of eight deeds, 1366-1534. This indicates the linkages between these three families. Another indication of the connection, through marriage with the Sarsfield family comes from an instrument, dated 1524, where one Oliver Tyrry, gent, and his wife Elena Sarsfield are mentioned. A link between the Cogans and Terrys from around 1540 comes from the marriage of William Tyrry to Ellen, daughter of Robert Goggan, alias (the) Goggan. Evidence of a link with another merchant family of Cork, this time of Irish origin, is in the gravestone of Thomas Ronan, one time Mayor of Cork who died in 1554 and his wife Johana Tyrry, which is now in the vestibule of Christ Church Centre. The will of David Fitz Edmonde Tyrry was executed in March, 1570 refers to his son's wife Anastas Walter, showing a connection between the Terrys and Walters, another prominent Cork family. A Dominick Terry, born circa 1540, was married to Martha Haly of Cork. 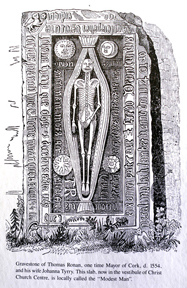 An Oliver Tyrry of Ballynory in Co. Cork had a son David, who died in 1599. This David was married to Catherine Myagh, who died in 1612. These intermarriages continued throughout the Tudor period. An Edmund Tirry of Cork, who married Catherine Galway, had five sons, William, born 1574 and future bishop of Cork, Robert, Dominick, George, and David as well as a daughter, Joan . Joan married Dominic Sarsfield, who was knighted by James I and became a chief justice of the crown and the premier baronet of Ireland. The above mentioned Catherine Galway is referred to in the will of Richard Tyrry Fitz Adam, who in referring to his daughter, Ellyne and committed her to the tuition of Catherine. The will of Richard also highlighted a Terry/Roche marriage connection. The will of one Christopher Galway refers to his brother Edmund Tyrry, and he makes bequests to him. A Peirs Gold was married to Johanna Tirrie. 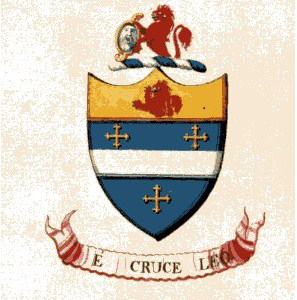 As well as intermarriage with other merchant families, there is some evidence of family ties with some of the major landlords in the county, such as the Roches, who were also a prominent merchant family in Cork city and the Fitzgeralds. There does not appear to be strong family ties with the Barrys, even though most of the Terry rural land holdings were in Barry's territory, i.e. the barony of Barrymore. One account states that a William Terry, who was Mayor of Cork in 1574, was married to Elizabeth, sister of Gerald the Great, Earl of Desmond. Some evidence is available on the role of female Terrys. In the will (1582) of Richard Tyrry Fitz Adam, in referring to his daughter, Ellyne he committed her to the tuition of Catherine Galway, wife of Edmonde Tyrry, and Dominick Galway, until she came of age. The economic role in Cork, played by Terrys in the Tudor period, was principally in terms of their entrepreneurial and trading activities, financial activities and in their capacity as landlords. James and Patrick Tirrie exported produce from Cork in 1504. William Tirrie engaged in extensive trading activity from the ports of Waterford and Cork in this period The accounts from Bristol show that for this accounting year, William, engaged in either exporting or importing commodities on thirty six separate ship arrivals or departures, with a total value of exports on those accounts of £183 sterling and a total value of imports of 374 sterling. In the years 1516/1517, Oliver, William Robert, Edmond and Nicholas Tirry were exporting from Cork to Bristol, commodities such as mantles, skins, wool and herring, and importing commodities such as wine silk, cloth and saffron . Some of the Terry imports were unloaded at Kinsale and Waterford, in addition to Cork. Some of the exports went to Carmarthan, Wales and Penmarch, France, in addition to Bristol. This involvement in trade continued throughout the Tutor period. As an example of Terry involvement in financial activities, from a Cork deed (1584), Edmund Tyrry Fitz David Tirrie (Tyrry) is owed £1,000 sterling by Thomas Skiddy. Terrys were involved in extensive land and property transactions throughout the Tudor period. This involvement was in land and property in the city and its suburbs, around the harbour of Cork, from Kinsale to Youghal on or close to the coast and inland as far as Rathcormac. Clearly what had begun in the mid fifteenth century, continued uninterrupted throughout the sixteenth century. Of interest in this, is that from the sources researched there is no reference to the Terrys of Castleterry, near Mitchelstown, and to the Terrys of West Waterford. One deduction from this is that both Mitchelstown and West Waterford were outside the limit of the city/hinterland sphere of interaction in the Tudor period. What is also of significance is that over and over again, throughout the sixteenth century, the same families owned land and property in the city and countryside. This would indicate to me a more open interaction between town and country, than would be generally considered in the context of a 'walled' city in medieval times. However, inland travel must still have been difficult, as was evidenced from the clear preference in each cargo, coming from the continent, to offload its produce at a number of ports, e.g. Kinsale, Cork and Youghal, rather that all the cargo at one port, with inland distribution to the other towns. In terms of a political and civic role, Terry provided mayors for the city on fifteen separate occasions, and bailiffs on thirty separate occasions, in the sixteenth century. A Terry stone carving was located in Christ Church. This is a damaged side-panel of a chest tomb. 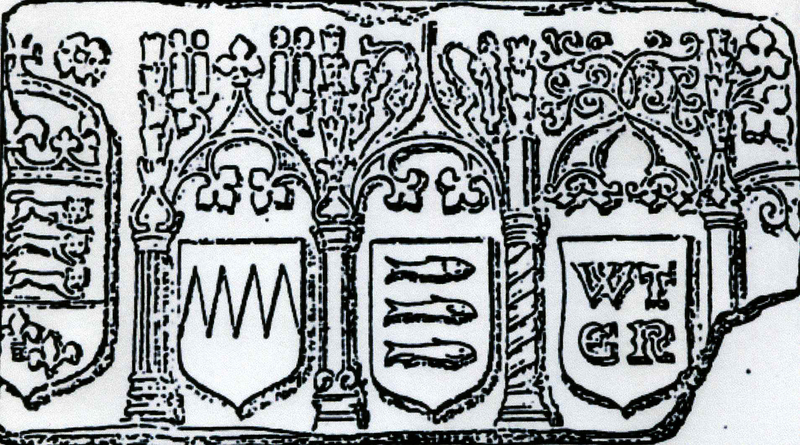 The initials refer to William Terry and a Roche. MacCarthy states that the William was apparently a mayor. The political role of Terrys enabled them to occupy other positions that enabled them to accumulate wealth. In a return for duty collected on the import of wine to Cork, for the six-month period ending March 1570, David Tirry, customer of Cork returned £452 .This was the third highest amount, after Dublin and Waterford. The Reformation had, in time, an unfortunate outcome for the old merchant families of Cork city, including the Terrys. These are now being referred to as the 'Old English'. At the time of the reign of Henry VIII, the changing religious thinking, in the form of the Reformation, did not present a major difficulty for the established families; Dominick Terry accepted the bishopric of Cork from the King. However, towards the end of the sixteenth century, division on religious affiliation became more acute, and the 'Old English' sought to adhere to the Catholic religion, and at the same time remain loyal to the crown. As events unfolded in the seventeenth century, it was not possible to hold this position successfully. By the year 1600, the Terry families were in a powerful economic position in the city. Some members began purchasing land in more remote parts of county Cork. Other family members moved to Limerick City and to Clare, while still others settled in Cadiz, Spain. Some of the attributes of Terrys in Cork City, at this time, that gave them significant power and wealth, and assisted them in maintaining it included; They were merchants and had strong trading links with Europe. They had extensive land holdings in rural areas, such as in the Barony of Barrymore. They held significant sway in the political and civic affairs of the City. They were in a position to support laws that extended privileges, in trade and civic positions, to their children. In this they were able to exclude outsiders. In the will of one James Tyrry, in 1618, he refers to 'the nation of the Terries'. Between the years 1612 and 1641, sixteen Terrys were sworn freemen of Cork City. These sixteen were the sons of Councillors and the merchant classes. Several were mayors of the city in this period. One of these was Edmond FitzDavid Terry, mayor in 1604, married Margaret Skiddy, daughter of Thomas Skiddy. Another was Edmond FitzEdmond Terry, mayor in 1614, who married Catherine Galway. Edmond and Catherine had five sons, William, Robert, Dominic, George and David as well as a daughter, Joan. She married Dominic Sarsfield, who was knighted by James I and became a Chief Justice of the crown and Premier Baronet of Ireland. One William Fitz Oliver Terry worked in probably a legal capacity for the Earl of Cork, Lord Boyle. In 1635, Boyle employed Terry to collect licensing money from the alehouse keepers in the county of Cork . There is also a broadening of the geographical areas where the Terrys resided. Some of their members had settled in Limerick and Spain, and a David Tyrry fz David, spent part of his time in Dublin, as agent for Cork. In the will of one James Tyrry fz Edmond, 1618, already referred to he asked to be buried near the great altar, of St. Peter's Church, Cork. In a list of the ancient natives and inhabitants of the City of Cork (1652), are seventeen Terrys. From Ballinterry, Rathcormac, barony of Barrymore, a Richard Terry was baptised on January 8th 1600. He married Helen Fitzgerald . Their descendants moved successively to Limerick, France and Spain. Some of their descendants now live in the province of Andalusia, Spain. An indication of the extent of the wealth of some Terrys in the early seventeenth century can be obtained from examining the will of David Tyrry Fitz Edmond in 1570, and a deed executed in 1584, presumably by his son, Edmond Tirrie fitz David . The father bequeathed the following property, Stauntons-towne, Tybbots-towne, Speris-towne, a house in the city, a house in Youghal, a park called Clanbege, and a mill; in all possibly 600 acres of land, two houses and a mill. The son's grant included the following property; at least seven houses in Cork City and Youghal, two castles, including Skiddy's castle in the city, two mills, and seven townlands and an island, possibly 1,400 acres in total. Carrigtwohill Church Tower was probably built in the late medieval period by the Terrys where they had a long association with the area. 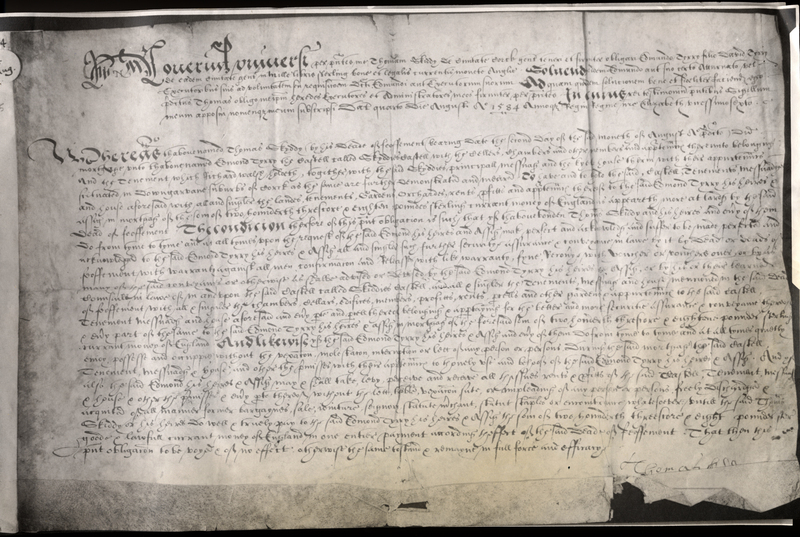 Part of the Charter granted to Cork Corporation by King James I, in 1608, provided for the establishment of a Stable. In the charter, the names of those who were to constitute the 'Society of Merchants of the Stable' were specified, as was the Mayor. Several Terrys were involved in this including holding the position of 'Mayor of the Stable'. A grant in the ninth year of the reign of James I, from the King to Patrick Terry, of Ballyleary within the Great Island, of a ferry over the river and port of Cork, from the cantred of Kyericurrihy, to the Great Island, forever. Edmund Tyrry is recorded as owning a ship laden with wine from Bordeaux. In 1607, the ship 'Recovery' of Bristol was taken with its goods. These belonged to, among others, James Tirry, who was on the ship. Terrys were involved in lending money extensively in this period. From the Survey and Valuation of the City returned in 1663 Terrys were proprietors of sixty-one properties, in the city and suburbs. Both members returned to Parliament for Cork city in 1613 were Terrys. One was David Tyrry. He was the son of Stephen Tyrry. The second Member of Parliament for Cork city in 1613 was Edmund Tyrry, Alderman. Edmund fitzDavid Tirry's son William was the future Bishop William Tirry of Cork and Cloyne. William was born in about 1573. He studied in Belgium and was consecrated bishop in 1623. He had to leave Cork in 1644 when the Catholics were ejected. He participated in the deliberations of the Council at Kilkenny. In Cork, for four decades from the year 1600, the merchants including the Terrys held on to their privileged positions, despite the problems that arose for them in adhering to the Catholic religion. Indeed, in 1627, a King's letter was issued ordering that David Terry be made a baronet of Ireland for his services performed for the King and for his other merit. In the 1640s affairs became untenable for catholic families and for royal families, in Cork. To hold ones position and property one had to be Protestant and 'show constant good affection to Parliament'. Terrys were strongly adhering to the Catholic religion, with evidence of some six Terry priests in the first half of the seventeenth century. In 1644, the Catholic families were thrown out of the city, and the functioning of the Corporation terminated. In the subsequent victory of the parliamentarians over the King, the Terrys were further offside. In the Cromwellian settlement, the ancient natives and inhabitants of the city were allowed to transfer to the baronies of Muskerry and Barrymore, as distinct from Connacht. Terrys lost considerable property and position in this period. Some converted to Protestantism and remained in the city. Others retained a certain position in the surrounding countryside. Still others emigrated. But the interconnecting links, such as, inter-marriage between Old English families, property holdings in the city and surrounding districts, civic role and merchant and trading activities, were now substantially broken. A new grouping, the 'New English', was now dominant. In my book, Terrys of Cork, 1600-2000, a local historical perspective, I seek to trace this merchant family and their descendants to the present time. There are contributions from others in the book. On the restoration of the king in England in 1660 they recovered a small amount of what they had forfeited. Towards the end of the century their support for the short lived reign of King James II, resulted in Terrys loosing out further. In the City, in 1641, Old English families, of whom the Terrys were one, owned about two-thirds of the property, but by 1663-1664 this portion had fallen to about 15%. The Census of 1659 indicated that there were nine Terry families in Cork City and Liberties . There were three tituladoes Terrys; John, Richard and Peirce. This is one half to one third the number of Terry families resident in Cork only fifty years earlier. In the eighteenth century Terrys were still involved in the political affairs of Cork City. They are recorded as merchants and traders, one was a maltster, another a silversmith, and some were barristers. Others were recorded as farmers. The merchants and traders were predominantly Protestant. In terms of their religion at this time, there were both Catholic and Protestant Terry families. Some Terrys emigrated. The close knit intermarriage with other Old English families of former times has loosened. Emigration to foreign parts went back to the seventeenth century, and even earlier. Terrys prospered in Spain while others went to France, Latin America , and the United States and beyond. In addition, Terrys from Cork who emigrated to England and Australia are considered. I have a website TERRYS OF CORK which is devoted to my research on the Terrys of Cork and for communicating with others with an interest in this family. 1. The Receipt Roll of the Irish Exchequer, 1301-2 (E101/233/16); Paul Dryburgh and Brendan Smith, Handbook and Select Calendar of sources for Medieval Ireland in the National Archives of the United Kingdom, Four Courts Press, 2005, p 112. 2. Calendar of the Justiciary Rolls, Ireland, HMSO, 1914, pp 296-439. 3. Calendar of the Justiciary Rolls, Ireland I to VII years of Edward II, Stationary Office, Dublin, pp 201-202. 4. Calendar of the Justiciary Rolls, Ireland I to VII years of Edward II, Stationary Office, Dublin, pp 287-297. 5. Calendar of the Justiciary Rolls, Ireland I to VII years of Edward II, Stationary Office, Dublin, p 292. 6. John Windele, Sarsfield and other Papers relating to Cork, Blair's Castle, 1847, p 1. 7. A. F. O'Brien, Irish Exchequer Records of Payments of the Fee farm of the City of Cork in the Later Middle Ages, Analecta Hibernica, No 37, 1998. 8. Irish Manuscripts Commission, Coram Rege Roll, No 364 (Trinity, 1351), Analecta Hibernica, No. 23; translated into English for the author by Richard Samways, Dorset. 9. Kenneth Nicholls, The Development of Lordship in County Cork, 1300-1600, (in Cork History & Society, Editors, Patrick O' Flanagan and Cornelius G. Buttimer), Geography Publications, 1993, p176. 10 John Windele, Sarsfield and other Papers relating to Cork, Blair's Castle, 1847, p3. 11. Eric St. John Brooks, Unpublished charters relating to Ireland, 1177-1182, Proceedings of the Royal Irish Academy, 1936. 12. Rev. Henry Edward Dennehy, History of Great Island The Cove of Cork, and Queenstown, Tower Books, 1990. 13. Kevin Terry, Aspects of settlement of an hereditary clerical family in the medieval period: the Terrys of Cork, in the Cork Historical and Archaeological Journal, 2010, pp 23-30. 14. Richard Caulfield, Council Book of the Corporation of Cork, Appendix C.
15. John Windele, Roche, Fitzgerald and Sarsfield Papers, Blair's Castle, 1845, pp318-348. 16. John D'Alton, King James's Irish Army List (1689), second edition, Volume 1, John D'Alton, p109. 17. Kevin Terry, Terrys of Cork, 1420-1644, M.A in Local History, UCC, 2007 (unpublished). 18. Cork Constitution, February 8th, 1867. 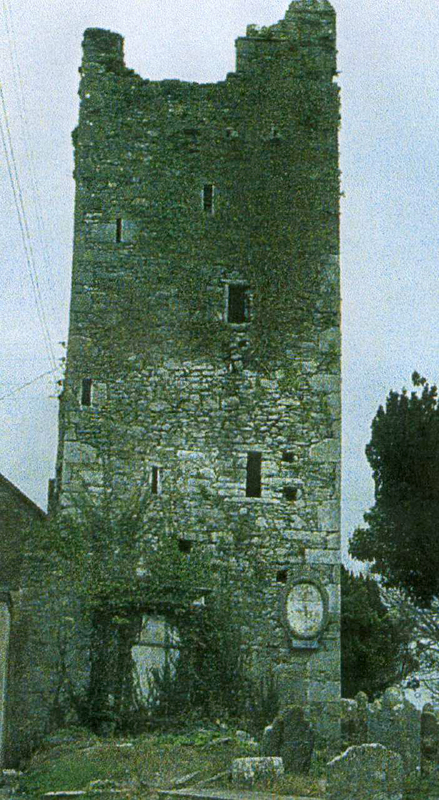 A report on a meeting of the Cork Cuvcerian and Archaeological Society where Dr. Caulfield exhibited two original Tyrry wills of 1454 and 1479. 19. Paul Dryburgh and Brendan Smith, Handbook and Select Calendar of Sources for Medieval Ireland in the National Archives of the United Kingdom, For Courts Press, 2005, p281. 20. J.F. Fuller, Carden Terry, Journal of the Cork Historical and Archaeological Society, Volume IX, 1903, p.68; James L. J. Hughes, Patentee Officers in Ireland, 1173-1826, Irish Manuscripts Commission, 1960, p 129. 21. Alph O'Brien, Commercial relations between Aquitaine and Ireland c. 1000 to c. 1550, (in Aquitaine and Ireland in the Middle Ages, edited by Jean-Michel Picard), Four Courts Press, 1995, p63. 22. Lodge, Records of the Rolls, National Archives Ireland, Vol 1,pp167-168. 23. John Windele, Sarsfield and other Papers relating to Cork, Blair's Castle, Cork, 1847, p 24. 24. Calendar of State papers Ireland 1592-1596, p 482. Lord Burghley, William Cecil, was the principal adviser to Queen Elizabeth I through most of her reign, from Encyclopaedia Britannica, 15th Edition, Micropaedia, Volume II, p664. 25. Alice Stopford Green, The Making of Ireland and its undoing 1200-1600, Macmillan and Co, 1908, p175. 26. Ainsworth's report on private collections, no. 309, Sarsfield Papers, Manuscripts Department, National Library of Ireland. 27. Richard Caulfield, Early Charters relating to the City and County of Cork, Gentleman's Magazine, April, 1865. 28. James Casey, Land Ownership in North Cork, PhD Thesis, 1988, U.C.C..
29. Charles Lart, The Pedigrees and Papers of James Terry, Athlone Herald, at the Court of James II in France, 1690-1725, William Pollard & Co Ltd, 1938 30. Genealogical Office, Dublin, g.o.218, p.266. 31. Michael Benedict Hackett, A Presence in an Age of Turmoil, English, Irish, and Scottish Augustinians in the Reformation and Counter-Reformation, Augustinian Historical Institute, 2001, p116. 32. Richard Caulfield, Wills and Inventories, Cork temp. Elizabeth and James I, Gentleman's Magazine, 1861, p 502. 33. Brian O' Connor, Genealogia, Insignias y Blasons de la familia Terry, (unpublished), 1753. 34. Richard Caulfield, Cork Wills, Church of Ireland Records, (unpublished), RCBL, Dublin. 35. Bristol 'Particular' Customs Account, 1516/1517, reference e122212 ; see also Evan Thomas Jones, The British Shipping Industry in the Sixteenth Century, unpublished PhD Thesis, University of Edinburgh, 1998. 36. C 65 Aug 4 1584, Cork deeds, Marsh's Library, Dublin. Details provided by Fr. Michael Hackett, O.S.A. 37. C.J.F. MacCarthy, Thomas Ronan in sixteenth century Cork, C.J.F. MacCarthy, 1990, p21. 38. Editor Mary O'Dowd, Calendar of State Papers Ireland Tudor Period 1571-1575, Public Records Office & Irish Manuscripts Office, 2000, p. 47. 39. R. Caulfield, (1876), The Council Book of the Corporation of the City of Cork from 1609 to 1643, and from 1690 to 1800. J. Billing & Sons: Guilford. Once admitted to the freedom of a corporate town and entered on the register of freemen, a man was permitted to practice his trade and vote in parliamentary elections. Freedom was attained through the completion of an apprenticeship, through descent from one's father, by marriage into the family of a freeman or by grace of the mayor and corporation. 40. Lismore Papers, Vol IV. 41. John Windele, Sarsfield and other papers relating to Cork, Blairs Castle, Cork, 1847. 42. Francis H. Tuckey, The County and City of Cork Remembrancer, Tower Books of Cork, 1980. 43. Ref. n548 p135 Paris: Bibliotheque National (microfilm copy in the National Library of Ireland). 44. Lart, Charles, Pedigrees and Papers of James Terry, Athlone Herald at the Court of James II in France (1690-1725), William Pollard & Co Ltd, 1938. 45. Richard Caulfield, Wills and Inventories, Cork, temp. Mary, etc., The Gentleman's Magazine, April, 1862, pp443-444. Richard Caulfield, Early Charters relating to the city and county of Cork, The Gentleman's Magazine, August, 1865, p177. 46. R. Caulfield, Wills and Inventories, Cork, Gentleman's Magazine, April, 1862. 47. From the Welsh cantref., the cantred was the administrative subdivision of the Anglo-Norman county, corresponding to the later barony..
48. Richard Caulfield, The Council Book of the Corporation of the City of Cork, Billing & Sons, 1867, p111. 49. Irish Manuscripts Commission (IMC), A Calendar of material relating to Ireland from the High Court of Admiralty Examinations, 1536-1641, IMC, 1992. 50. C.M. Tenison, Cork M.P.s 1559-1800, Journal of the Cork Historical and Archaeological Society, Vol II Second Series, 1896, p326. 51. 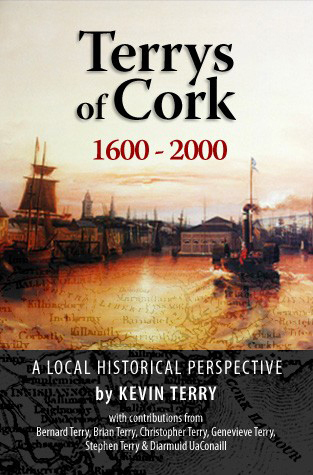 Kevin Terry et al, Terrys of Cork 1600-2000, a local historical perspective, Kevin Terry, 2005. 52. City of Cork - Survey of Valuation, (circa AD 1663-1664). 53 S. Pender (Ed), A Census of Ireland circa 1659, Irish Manuscripts Commission, Dublin, 1939. 54. Kevin Terry, 'Terrys in Latin America of Cork origin' in "Irish Migration Studies in Latin America" 7:3 (March 2010), pp. 381-386. Available online.